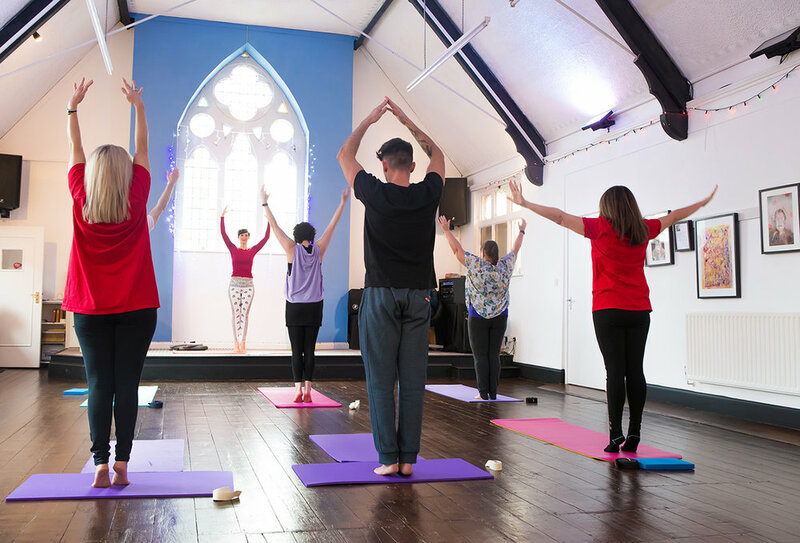 Adult Hatha Yoga classes at the beautiful, tranquil setting of The Sanctuary Workshops in Leicester. Lead by British Wheel of Yoga Teacher, Debbie Liggins, offering two weekly Wednesday evening adult beginners and improvers classes. Hatha yoga combines postures, yogic breathing and relaxation techniques. Yoga has many health benefits, physically and mentally. By building a regular practice into your routine, you'll begin to experience the ways yoga can give your health and wellbeing a boost. Yoga can improve flexibility, posture and balance and can increase muscle strength and joint stability. If practiced correctly, yoga can also help towards maintaining healthy bones through weight bearing postures and working with keeping the muscles active and toned during practice. Through breath focus, yoga can begin to increase your ability to become more focused and less distracted, helping to relax the nervous system and release tension, reducing the effects of stress and increasing your awareness of your body and mind.